I do love black diamonds! This past year for Christmas, my husband & I searched the city for pair of black diamond earrings to give to our daughter. We had no idea they would be so hard to find. After days of running from store to store, we finally found some on Christmas Eve. Just in time for Christmas! You, too, may want to add some style to your jewelry wardrobe. This page showcases a collection of black diamond stud earrings for both men and women, and many of the designs are suitable for both. You will find some stunning solitaires as well as a combination of mixed gemstone settings. Finally, there are single studs that men will love. I can tell you from experience, don’t wait until the last minute. Black diamond earrings are not always easy to find, especially if you have a style or cut preference. Our daughter wanted the princess cut black diamond stud earrings. Unbeknownst to us, the princess cut black diamonds are much harder to find! As a matter of fact, the only place we could find the solitaire princess cut black diamond, was online. Now, she wears them almost every day! Definitely worth the search, but I do wish I had known how hard they were to find, instead of waiting until the last minute thinking they would be an easy last minute purchase. The round solitaire diamond earrings are by far the most popular! Finding the size you prefer, might be tricky, but the round diamonds are most often what is available in stores. They round black diamond stud earrings really are quite stunning for everyday wear or with the little black dress for more formal wear! 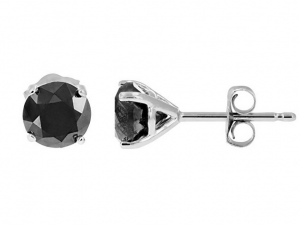 These pretty black diamond earrings have a gem weight of 1 carat, set in 14k white gold. Other than the fact that our daughter wanted the princess cut instead of the round studs, no matter where we went, my eyes were drawn to the multi-diamond settings with a mix of white and black diamonds. Since I was so distracted by such beauty, it was truly a little challenging to force myself to look at the single gem studs. These photos really do not do justice to the multi-diamond settings. 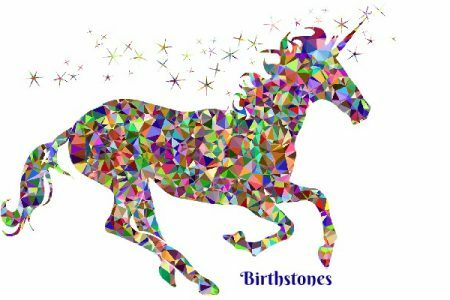 Because each stone is cut and set separately, they catch the light and sparkle more than a single black diamond. This is a single earring for men — a 1/2 carat black diamond. This is a natural black diamond that has been heat treated to darken the color.